Crisp leafy greens and a vibrant, palate-cleansing dressing provide a welcome contrast to heavier holiday foods with this gluten free salad recipe. Make it easy on yourself: Prepare the dressing in advance, then finish the salad at the last minute. Also, sub other greens if you want: arugula, frisée, and romaine work, too. In a salad bowl, whisk together the oil, vinegar, mustard, sugar, and 1/4 teaspoon salt. 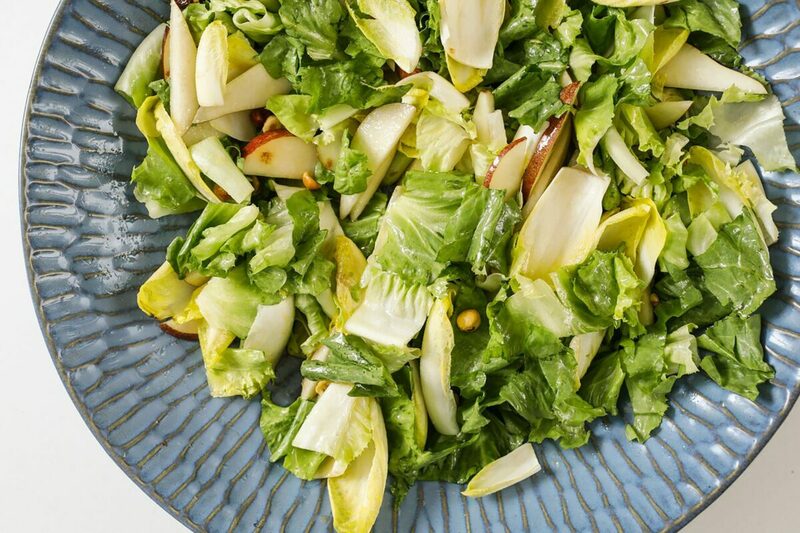 When ready to serve, whisk the dressing again, add the pear, escarole, and endive, toss to coat, sprinkle with the hazelnuts and a pinch of salt, and serve.